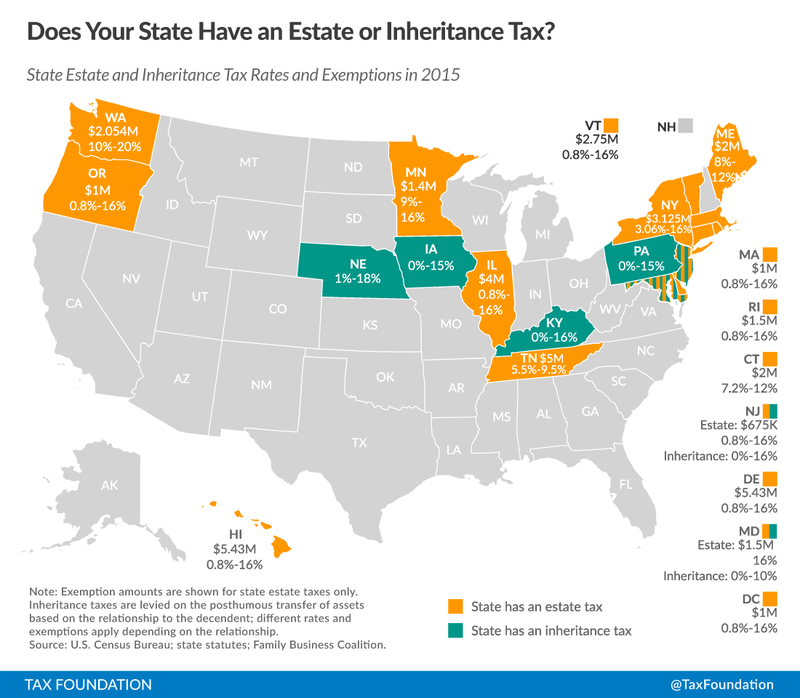 In addition to the federal estate tax (which is fourth highest in the OECD), many U.S. states levy their own estate and inheritance taxes. While estate taxes are charged against the estate regardless of who inherits the assets, inheritance taxes are levied on the transfer of assets to heirs, based on the relationship of the inheritor to the deceased. In the case of inheritance taxes, spouses, children, or siblings often have different exemptions, which we list in detail in table 35 in the 2015 edition of our annual handbook, Facts & Figures. The state with the highest maximum estate tax rate is Washington (20 percent), followed by eleven states which have a maximum rate of 16 percent. Hawaii and Delaware have the highest exemption threshold at $5,430,000 (matching the federal exemption). New Jersey has the lowest, only exempting estates up to $675,000. 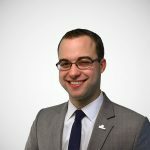 Reform and repeal of estate and inheritance taxes have been very frequent in the last few years, sometimes in states you might not expect. In 2013, Indiana sped up the repeal of its inheritance tax, retroactively to January 1, 2013. Tennessee's estate tax will phase out fully in 2016. Maryland and New York are in the process of phasing in new, higher estate tax exemptions, eventually matching the federal exemption level ($5.9 million) by 2019. Minnesota is in the process of doubling its exemption from $1 million to $2 million over five years. The District of Columbia is slated to phase in higher exemptions to the estate tax as new revenues become available. Click here for more information on estate and inheritance taxes.